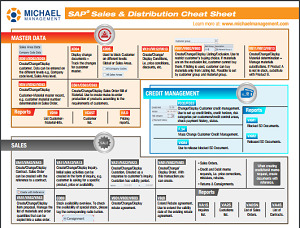 SAP Sales & Distribution (SD) is one of the most important SAP modules! It contains SD Master Data, Sales processing, Billing, Shipping & Transportation and Credit Management, among many other components. Whew! There's lots to know about SAP's SD module. Take a moment and print out this great cheat sheet and keep it handy while you are taking your courses. We compiled the most commonly used transaction codes, features and functions when working with SAP's SD module. 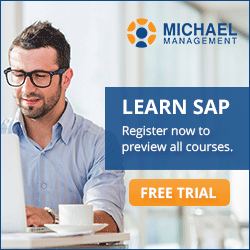 Learning SAP doesn't have to be hard. More infographics: What does the average SAP student do?.